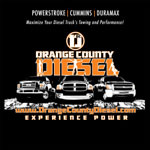 Raise Increase: 2" - 4"
Air Lift is focused on providing the equipment to make towing balanced and peaceful. If your original RideControl or SlamAir Air Springs become damaged or are compromised, the AL 50203 Sleeve Replacement will restore the system to working order. The AL 50203 Sleeve Replacement is made and shaped after the Air Springs that come with the RideControl or SlamAir Air Spring Kit, and is easily installed. 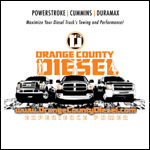 OC DIESEL offers Professional Air Lift 50203 Sleeve Replacement installation.